Eramosa White 12 in. x 24 in. Porcelain Tile features dramatic linear veining, reminiscent of natural Eramosa stone from Canada, but with the durability and low maintenance of porcelain. This rectangular matte finished tile lends itself to a breadth of installation options, both residential and commercial. 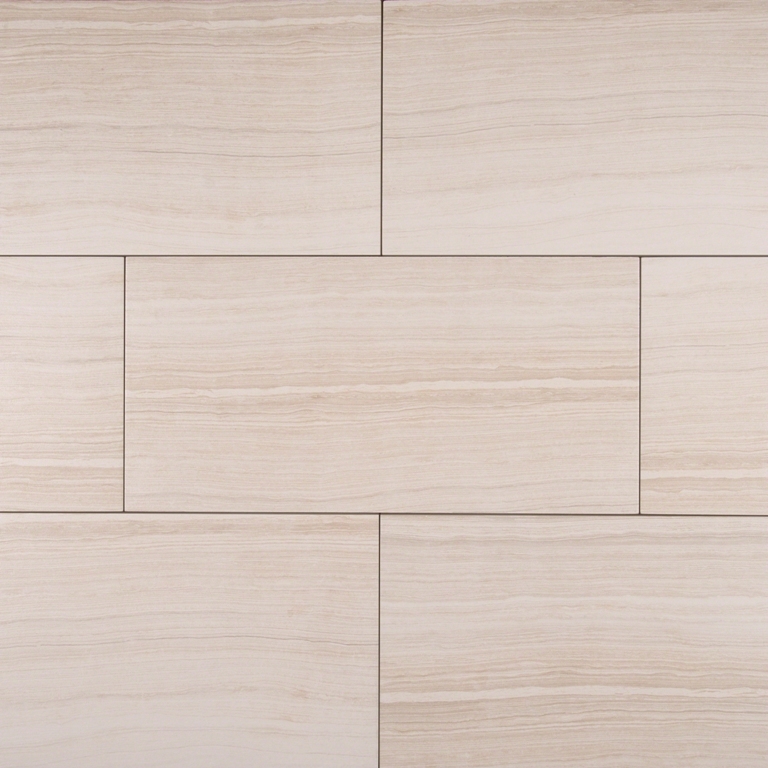 Whether used for accent walls, shower and tub surrounds, countertops or backsplashes, this tile can help visually expand your space and create a cohesive feel. If you want a stone look flooring tile that offers installation flexibility, this is it. Eramosa White Porcelain Tile can be used for a variety of intriguing patterns, including traditional brick patterns, herringbone, chevrons, cobblestone and basketweave. Tile accessories are available to give your project a finished, professional look. Bought this tile for my office remodeling. This was a good deal with wallandtile. Thanks for everything, the tile you sent came promptly and the packaging was excellent.